We are a gold award winning salon based in Banbury town centre. 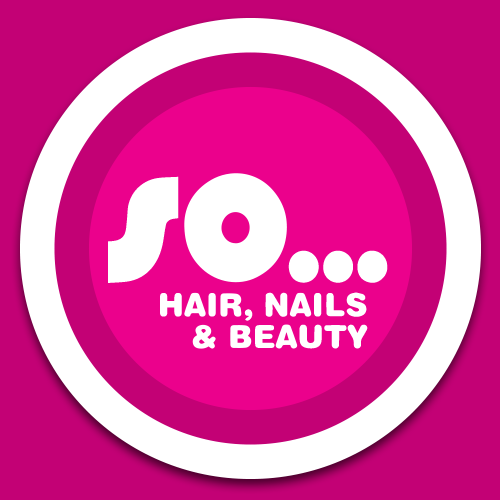 We specialise in all areas of Hair Cutting, Colouring, Styling, HD Brows, Eyelash Extensions, Waxperts Waxing and Massage, along with CND Nail Enhancements, Manicures, Pedicures & Shellac. After my friend messed up my eyebrows i have been coming regularly to get my eyebrows done. The ladies have be very helpful getting them back to how they should be offering great tips and advice. Went for a luxury shellac pedicure today, very relaxing and good service. Would recommend to everyone. Excellent service from Bella. She’s created the perfect shape for my brows - I’m really, really happy with them. Overall happy with the service. Would definitely go back again. I wish they do offers more often so i can afford and visit them regularly. Very friendly and professional service. Thank you! Amazing experience! Sad that I have just discovered So Hair and Krystal... I will definitely be back before I move from the UK. Great staff, great environment & clean — it’s evident all of the ladies and gent are experienced and your in good hands! Initially felt very unsure but was made really welcome by everyone there. I was due to see Krystal but at the last minute Rosie stepped in as Krystal was busy. A lovely lady with a very 'put you at ease' personality. I was happy with the offer for shellac and was really pleased with the result. I wouldn't hesitate to go to this salon again. Crystal did an amazing job on my hair! Very skilful hairdresser! Salon had a nice atmosphere and staff were very friendly and professional. I will be back! Great colour from Callum today and a lovely cut from Sadie. A woman said she had followed me down the High Street just to tell me how 'Fabulous' my hair looked! Thank you So. Hair and eyelash tint and eyebrow wax.